The premise of a Celestial Prelude is based on the simple fact that God would not ordain the long awaited birth of His only begotten son, the eternal purpose of the ages, without a little advanced notice. This prelude has two parts, the first general the second specific. The entanglement of these two separate parts of the Celestial Prelude has caused much of the confusion surrounding the "Star of Bethlehem." A good place to start thinking about the first part of this prelude is: Where did the popular idea of a single bright star, obvious to everyone, marking the birth of Christ originate? The answer to this question is found in what I call the General Sign of the Celestial Prelude, which alerted the Magi to the broad period of time when the promised seed would appear. The first decan, or subordinate sign of Virgo was originally called Coma, meaning; the desired or longed for, seen in the Book of Haggai. In his book Witness of the Stars, E.W. Bullinger documents the perversion of the meaning of the sign Coma, by the Greeks, into the hair or wig of Berenice. Coma is pictured as a woman holding her child, in the Dendera zodiac, who was the desired one of the nations. It was in this decan of Virgo that around 125 BC, a new star, so bright that it was visible in daytime, suddenly appeared in the head of the holy child seated in the lap of the woman, in the sign Coma. As we will see regarding the birth of Moses, Jupiter-Saturn unions in general and particularly triple Conjunctions, hold a special signification for Israel, but they are not limited to Pisces. This misconception has led to confusion in marking the signs of Moses' birth, but once this is realized we find great unity in the signs prior to the birth of both Abraham, Moses and Christ. Kepler was also intrigued by the idea that there might be an affinity between this series of planetary conjunctions, marked by the appearance of the 1603 supernova. At the same time, Kepler doubted that these signs would have marked the actual birth of the Messiah, because another similar Jupiter-Saturn Conjunction of took place a few months later, as part of a triple union. Although Kepler recognized some of the potential importance of these signs in relation to the coming of the Messiah, he did not distinguish between what I am terming as the general and specific signs leading up to the birth of Christ. This contributed to his confusion regarding how these general signs could mark the birth of Christ, as it will for anyone who fails to make this important distinction. It is important however, that we notice that Kepler was not only the first I'm aware of, to suggest a planetary Conjunction scenario to explain the "Star of Bethlehem," but he was also the first to connect a supernova with these unions and relate it to what the Magi had seen. Figure i. Kepler's model of the 1603 [*] Jupiter-Saturn union, in 60-year periods, depicted as three triangles in this model. Even though he did not distinguish between these general and specific signs, his studies were a needed step forward which put people on the right track, providing an important basis for modern researchers of the signs marking the birth of Christ. More information on the graphic above of Kepler's rendition of the Jupiter-Saturn triple conjunctions can be found in the link referencing John Mosley's article from the Griffith Observatory, at the end of the study on "The Celestial Prelude." Kepler is recognized as the father of modern Astronomy for his Laws of Planetary Motion, but for this reason, we should also recognize him as key contributor in this field on the study of the "Star of Bethlehem," who also pioneered some of the principles of Biblical Astronomy for the modern age. E.W. 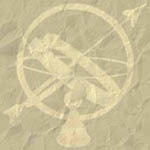 Bullinger uncovers below, the popular belief regarding this general sign that was prevalent in and before the first century BC: "a traditional prophecy well known in the East, carefully preserved and handed down, that a new star would appear in this sign [Coma] when he whom it foretold, would be born." 3 This tradition was at least partially based on Balaam's declaration in Numbers 24, meaning that Balaam's prophecy holds, for our purposes, minimally a twofold import. First, Balaam's revelation refers to the advent of Christ the King, the ascendant bright and Morning Star, who came forth out of Jacob's genealogical line. This genealogical line was marked astronomically by the similarity in the Jupiter-Saturn triple conjunctions surrounding both the births of Abram and Christ. Secondly, there is a celestial double meaning in the phrase: Star out of Jacob, with connotations for both the general and specific aspects of our Celestial Prelude. The new star, or supernova in the head of the infant in Coma, visible for over 200 years, was the general sign, the Star out of Jacob, that prepared the Magi to watch for the specific aspects of the second part of the Celestial Prelude, which included the Jupiter-Saturn triple unions of 7-6BC in Pisces. We find this second aspect of Balaam's prophecy relating to the scepter, symbolic of the reign of the king planet - Jupiter. As we progress through our study it will become plain that Jupiter was the planet that the Magi referred to as "his Star" in Matthew 2:2. The Magi had noted the triple Conjunction of signs from 7-6 BC, involving Jupiter and Saturn, that gave them a blueprint for the actual signs marking Christ's birth, starting in 3 BC. An early sign in August of 3 BC motivated them to begin their caravan to Jerusalem. 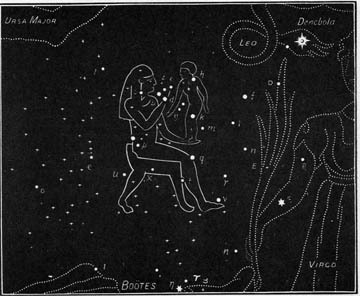 Both of these aspects of the General and specific celestial signs marking the birth of Christ are apparent in the study on "The Stars Over Bethlehem," which provides further dedtails of what the Magi observed in the skies overhead at the Messiah's birth, both in Virgo and Coma. Let's recall the reference to Haggai 2:7, specifically the second part of the verse that states: "and I will fill this house with glory, saith the LORD of hosts." Haggai's prophecy here refers directly to the future glorified Temple, as we can see later in the context of Haggai 2. The glory of this latter house shall be greater than the former, saith the Lord of Hosts: and in this place will I give peace, saith the Lord of Hosts. This is revealing in a historical light, when we consider that in the years following the Magi's visit to Jerusalem, shekels from Judea struck during the period of the second revolt, [132 AD.] bore the design of a bright star over the Jerusalem Temple, called Bar Kaukab, or Son of the Star. This may have been an effort to commemorate this truth of the supernova that appeared in the head of the infant son in Coma's lap, the desired of the nations, that also agrees indirectly with the idea of the spiritual body of Jesus as the true temple. It is Christ who glorifies the New Jerusalem as the light of the world, and this engraved image would have honored this traditional prophecy of the general sign pertaining to this new star, that appeared in the a head of the glorified Christ-child. This perspective provides a fresh start to study the "Star of Bethlehem," revealing great hidden truths. Once we make the distinction between the general and specific signs surrounding the birth of Christ, most of the confusion that has plagued this topic is removed. 1. The King James Version, ( Cambridge : Cambridge ) 1769. 4. The King James Version, ( Cambridge : Cambridge ) 1769.